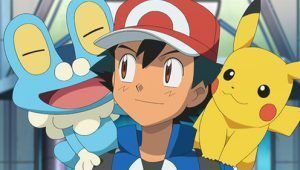 Ash and his friends have just finished a meal. 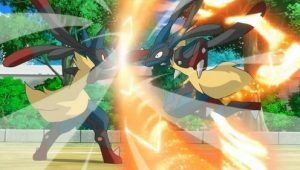 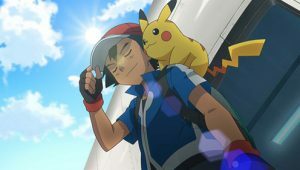 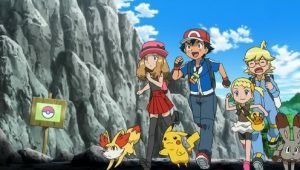 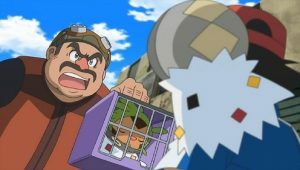 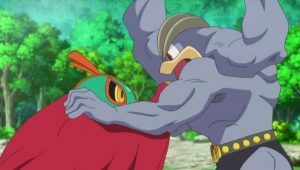 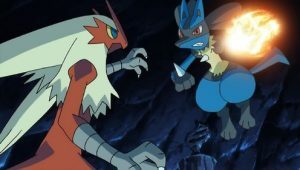 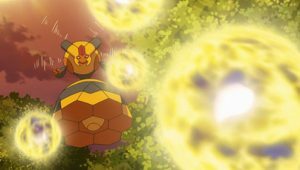 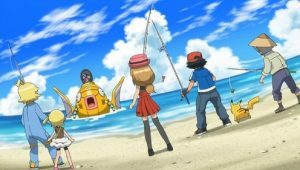 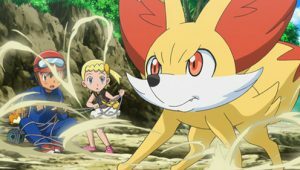 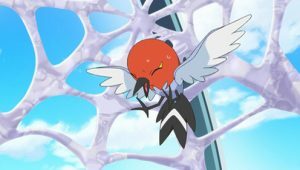 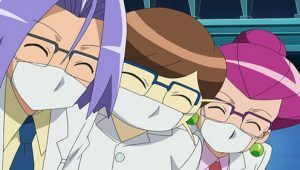 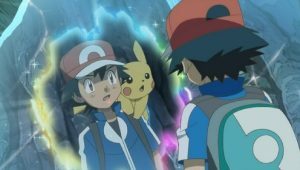 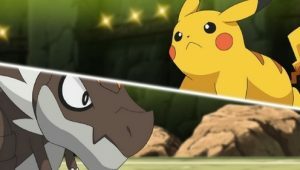 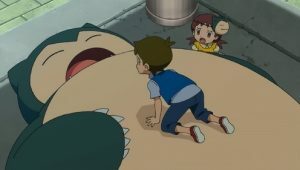 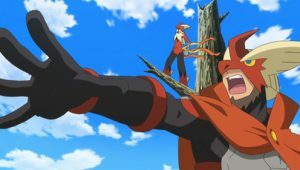 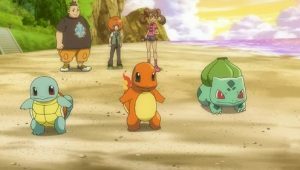 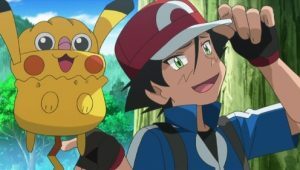 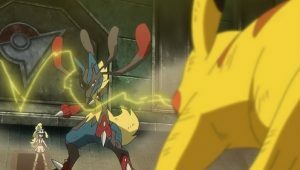 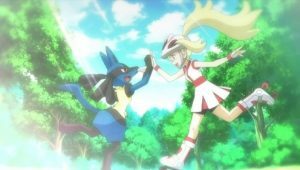 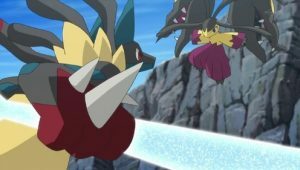 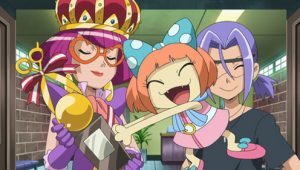 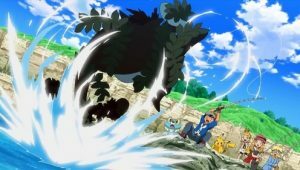 Ash begins to train for his Gym Battle, Serena begins training for her Pokémon Showcase, and Clemont decides to start working on a new invention. 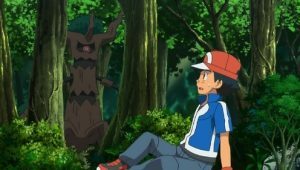 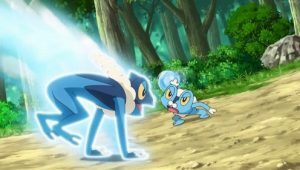 Bonnie asks Clemont if she can go take a walk in the forest, and he allows her to do so. 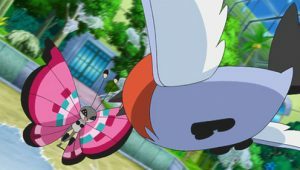 As she’s walking through the forest with Dedenne she spots a Wormadam in a tree and happily greets her. 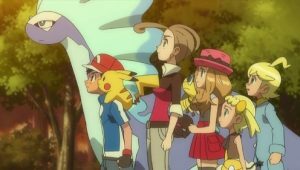 She continues to walk until she is halted by three other kids named Heidi, Jay, and Kye. 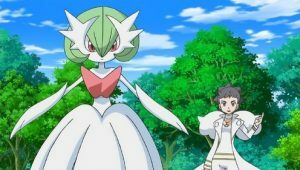 She demands to know why they won’t let her pass, and they unintentionally mention that there is a Lapras in the forest they have been protecting. 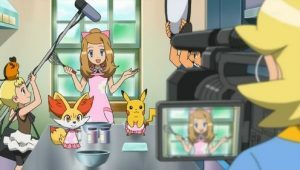 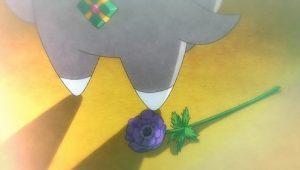 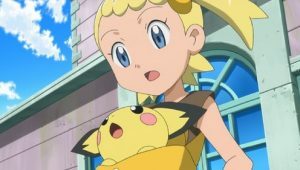 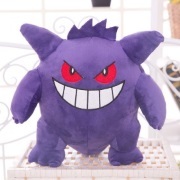 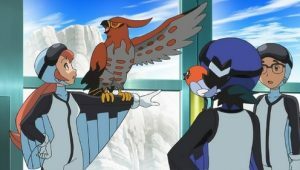 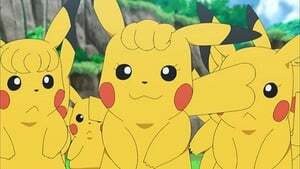 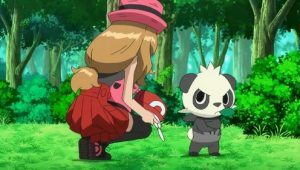 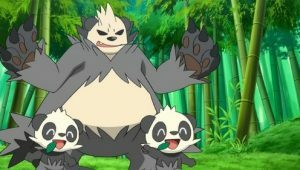 The leader of the group, Heidi notices Dedenne and suddenly becomes intrigued when Bonnie tells her that she is taking care of Dedenne. 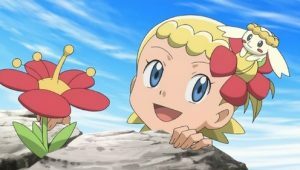 Heidi asks Bonnie if she could nuzzle with Dedenne, which Bonnie allows, resulting in Heidi getting shocked by Nuzzle. 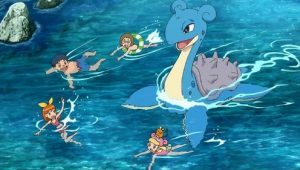 At a lake Heidi, Jay, Kye, and Bonnie change into their bathing suits and swim with Lapras. 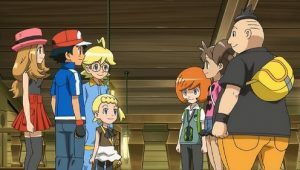 Bonnie asks Heidi how the group came across Lapras in the first place, and at first Heidi is hesitant to explain, until persuaded by Jay and Kye. 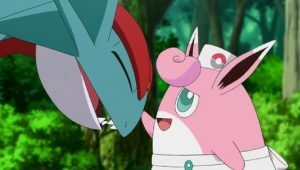 She explains to Bonnie that the three of them were walking around one day after a thunderstorm and found Lapras in the lake injured. 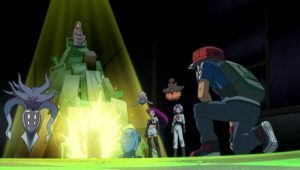 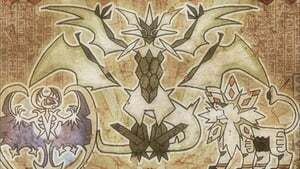 Intending to treat it and protect it, the three of them set up the Lapras Defense Corps. 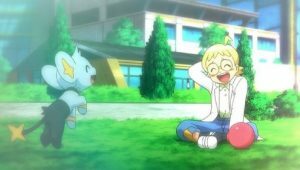 Heidi, Jay, Kye, and Bonnie play with Lapras until they have to go home. 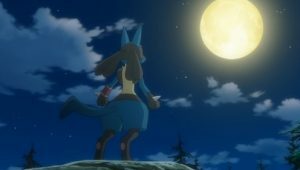 Bonnie wonders why Lapras ended up in the lake, and Heidi tells her Pokémon Hunters were most likely after Lapras. 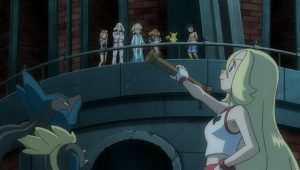 Shortly after, the sky turns dark and rain begins to pour. 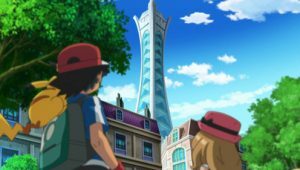 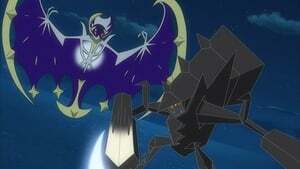 Ash, Serena and Clemont return to the Pokémon Center to take shelter. 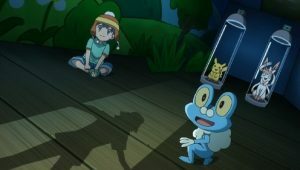 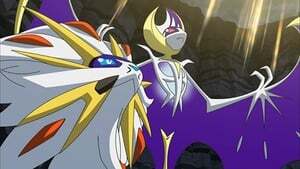 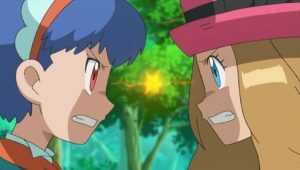 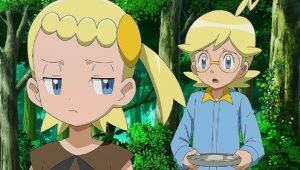 Clemont expresses his worry that Bonnie has not returned from the forest yet, while Serena hopes that she has managed to seek shelter elsewhere.